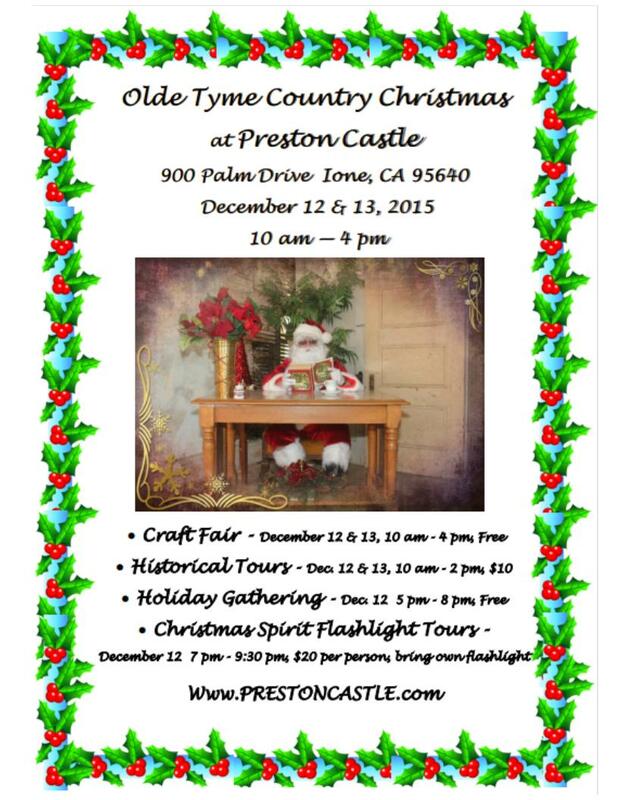 IONE, CA: Travel back to olden times at the beautiful Preston Castle, from 10 am to 4 pm, and find lots of interesting arts, crafts, jewelry, baked goods, and other gift items while listening to Christmas Carols. - Santa will be available for your wish lists and photos, starting at Noon. - You may take a tour of the historic Preston Castle, 10 am to 2 pm, both days. - On Saturday night, you can view the Castle lit up in Holiday Lights, from 5 pm to 8 pm. - You can take a special historical tour of the Castle by flashlight, from 7 pm to 9 pm on Saturday. Advance purchase only. Limited to 75 guests. - Sierra Nevada Guns for Hire will be entertaining everyone on Saturday with Old West comedy and gun fights. - Fiesta Fresh Grill will be on hand to take care of your hunger. 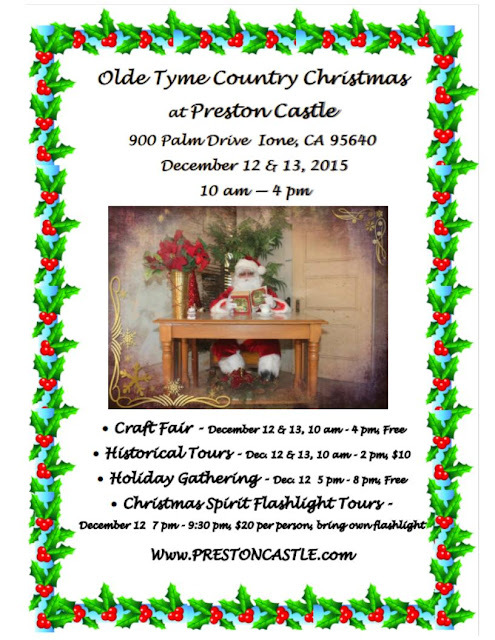 The final event for 2015 is a holiday fair/bazaar called Old Tyme Country Christmas on December 12 and 13. 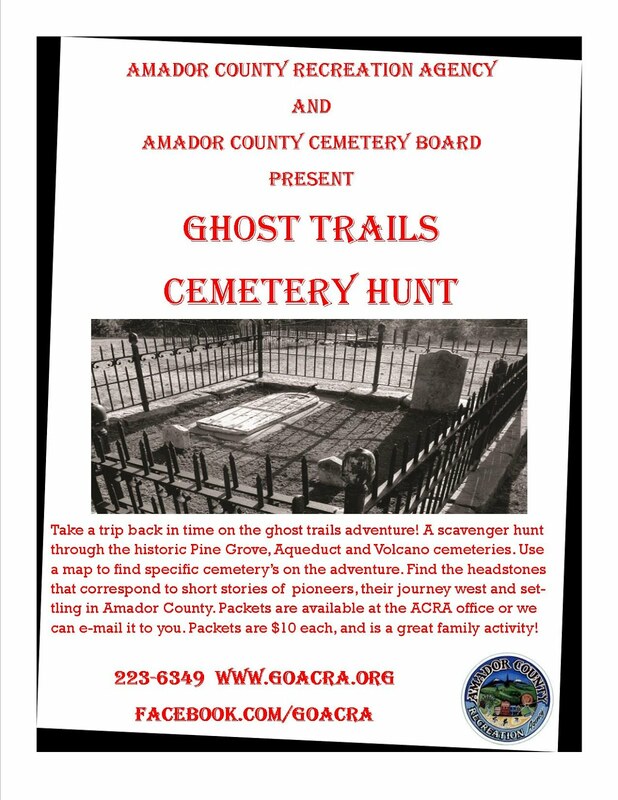 Also, these dates will be the last public tour days until April 2016.